Now any operator of pre-paid or postpaid users can easily carry forward unused 3g data an advantage before their existing data pack validity expires. Customer may now carry forward their unused Internet data balance, for 2G recharge with 2G internet data pack and 3G by recharging with 3G internet data pack before their existing data pack validity. This facility provides all operators like BSNL, MTS Airtel, Aircel, Reliance, Vodafone, Idea, Tata Docomo etc. This is a very simple way to extend your internet data validity. Here i will try to explain how to carry forward your unused internet data pack. Also Check : How to take Internet loan for all networks. And you will love this trick on Unlimited free calling. Gprs settings for all Idea, Aircel, Airtel and all networks. Free recharge trick for all networks. As such all network provide a service to carry forward internet data. Like if you have a internet data plan of 10 GB/ month. Now suppose today is the last date of your plan or your internet data pack is going to expire today and you have left with 2GB unused data. Now either you loose this data or can carry forward it to next month. So you can increase validity of unused internet data. Now you can use this data in next month. So here i will tell you the trick or plan to carry forward internet data. You can carry forward 2G/3G/4g data in all networks. Also Check : Loan USSD code for all networks. Internet Balance check USSD codes. And How to transfer mobile balance. If you have left with Unused 3G data balance , now you can carry forward Airtel 3G data to next month. For this you need to recharge for Rs 102 from Airtel portal before the expiry data of your data pack. When recharged your expiry data will extend by 28 days. So its good you will not loose your unused data. This carry forward trick works in both mobile and data card. Now BSNL Customer can carry forward their unused internet data pack on next recharge. This operator is likely to help customers gain more data users across the country. The operator BSNL has announced that it will grant users to carry forward the unused Internet data pack with their new recharge it also including normal data STVs. The provision has been extended to its 2G as well as 3G prepaid BSNL users across in India. BSNL just recently introduced RS 68 internet Data pack Special Tariff Voucher (STV) which admit 1 GB 3G Mobile Data for 10 days. ET quotes a BSNL statement. “Quality of service and users satisfaction is our top priority and transparency makes us unique from other network operators” adds up BSNL director for Consumer Mobility N.K Gupta The change is likely to help the BSNL collection more large data users. BSNL and MTNL collaborate hold merely 8.32 percent of market share while the private operators own 91.68% of share, according to the latest TRAI telecom subscription data. BSNL’s carry forward is a very interesting as well as advantage for users who at times fails to consume full data. Many people are using MTS data card to run internet, if you are also using MTS and you have left with unused MBs and your expiry date is near, you can carry forward your MTS data to next month. For this you need to recharge your MTS number with STV Rs 198 for 700 Mb , Rs 248 for 1GB+, Rs 399 for 2GB+, 499 for 4GB+ and Rs699 for 7GB+. This recharge will extend your data validity by 28 days. Idea provides postpaid customers carry forward unused 3G internet data pack.Postpaid 3G customers of Idea Cellular can carry forward their unused 3G internet data pack to next recharge. Idea Cellular has introduced a carry forward for its postpaid customers. Called the ‘3G Roll Over’ function, Idea will admit its postpaid subscribers to carry forward their unused 3G internet data pack to next month without any extra charges. Also Check : Idea Free Recharge Trick , and the Working Idea Free 3G Internet trick. And Idea all USSD Code list. The roll over advantage is support on all Idea postpaid 3G limited data packs offering minimum of 1GB data, on a pan-India add’s up on the first-of-its-kind launched, Mr. Sashi Shankar, Chief Marketing Officer, Idea Cellular said, “Idea’s new ‘Roll Over 3G ’ feature is based on the insight that users feel of pain when their data pack expires at the end of the validity, without full utilization. With our new Roll Over 3G data pack, postpaid users will now not lose out on unused data balances at the end of their validity. Now Tata docomo pre-paid customers can easily forward their unused data an advantage before their existing data pack validity expires. Tata Docomo just recently launched it’s users carry forward their unused internet data pack. This operator support for both 3G and 2G users. In case the user has a 3G balance of 400 MB internet data left and the validity is left for just one day before and then the customer recharge which gets him another 200 MB internet data for another 28 days. So now the users will allow to carry forward the unused 400 MB data along with 200 MB internet data bringing the total free usage quota to 600 MB internet data pack. Vodafone has launched its uses a ‘Carry Forward’ plan under which customers to carry forward unused internet data from existing pack to a new pack. This service is supports for 2G and 3G prepaid customers in Maharashtra & Goa circles. Vodafone’s service is however not applicable on unlimited and night internet data packs. Here we also have trick to run free internet on Vodafone. Also Check : Vodafone USSD codes list , Vodafone Balance Transfer Code and new Vodafone free recharge trick. Did you know ? : You can also take data mb loan in Vodafone. Ashish Chandra, Business Head, Maharashtra and Goa, Vodafone India is quoted as saying, “Vodafone has always been at the front row in launching innovative and services relevant to the needs of our users. We have a very powerful prepaid customer base in Maharashtra and Goa and Vodafone ‘Carry forward’ has been designed to empower and provide the good value to our pre-paid data user base. So now, Vodafone 3G is not just the Faster mobile internet platform, it also the Smarter choice, providing Better value”. Also Check : PUK Code for Airtel, Aircel, Idea, Vodafone and all networks. So now you can now extend your internet data pack expiry, hope you easily carry forward your unused internet data in Airtel, Aircel, Mts, Bsnl, Idea, Vodafone and all network. If you can’t find carry forward recharge for your network then comment below. We will try to found your internet data carry forward recharge for you. Plz provided carry over unused plan for aircel network. 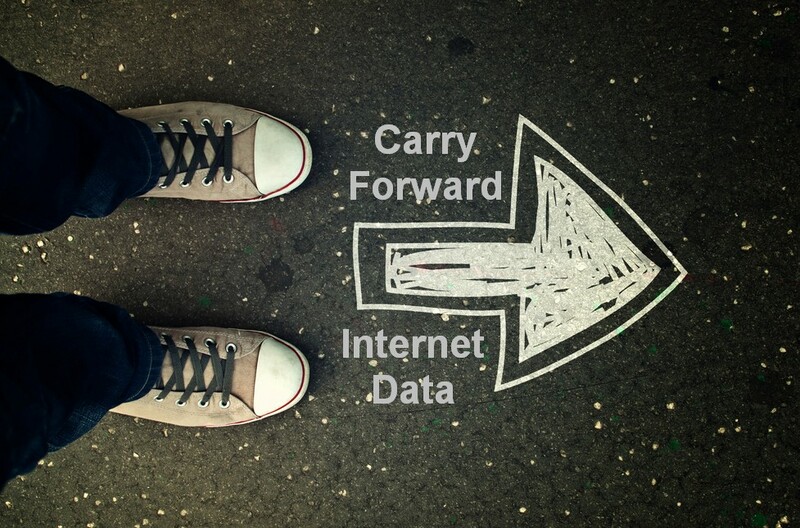 how to carry forward your unused internet data pack. in reliance. But what about reliance, it has been not shown here..
how to carry forward 3g data pack which unused.